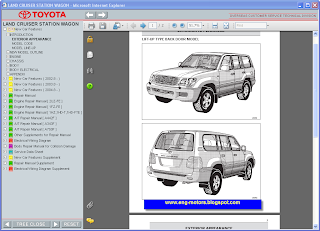 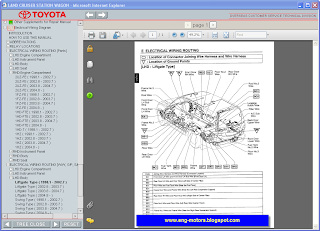 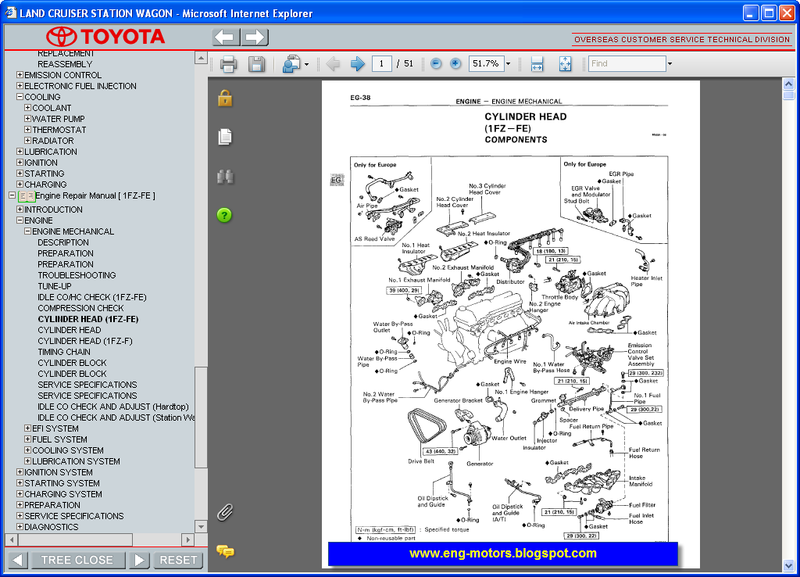 maintenance, electrical wiring diagram, body repair manual Toyota Land Cruiser UZJ100, FZJ100, 105, HZJ105, HDJ100, 1998-2007. 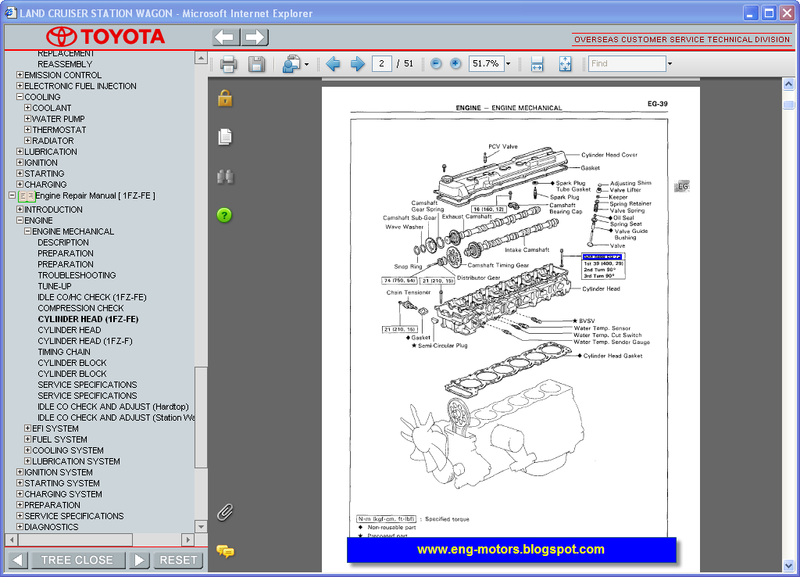 Toyota Land Cruiser Gasoline and Diesel Engines Repair Manual, Transmission Repair Manuals presented LHD & RHD Models Toyota. 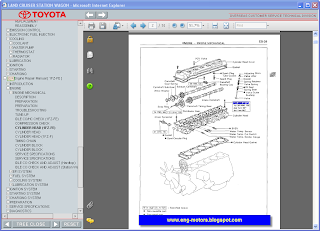 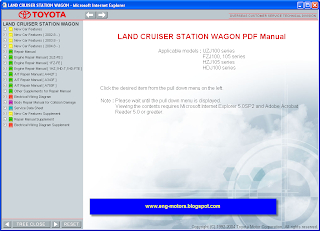 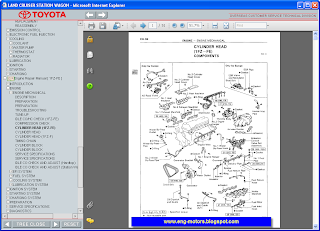 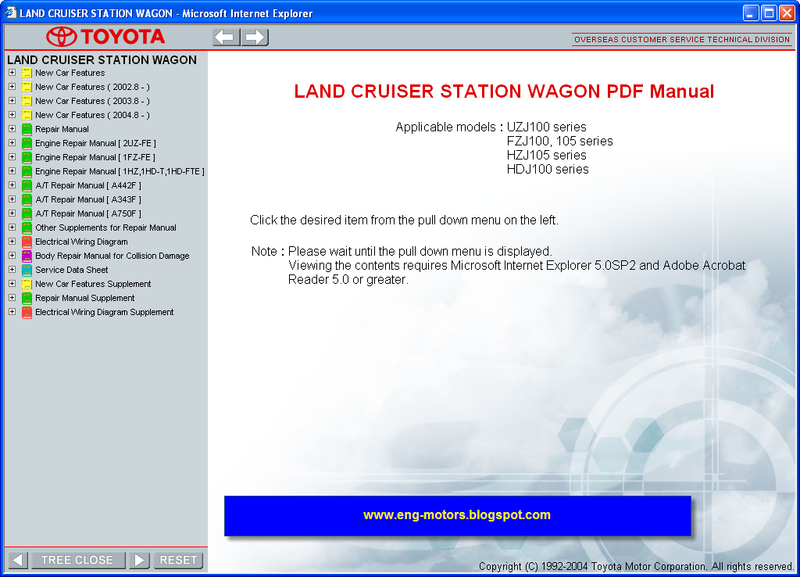 Toyota Land Cruiser Engines Repair Manual 2UZ-FE, 1FZ-FE, 1HZ, 1HD-FTE, 1HD-T.
Toyota Land Cruiser Transmission (Transaxle) Repair Manual A442F, A343F, A750F.